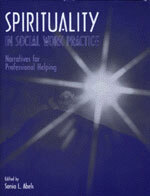 The narratives in this book will help students and professionals in social work to link their own experiences with others. Each special narrative is rich with the voices of persons who have experienced passion, excitement, mystery, and sometimes disappointment. You will find the narratives will help your understanding of meditation, disability, religious values, cultural practices, incarceration situations, and much, much more.